You can sort Year, Make and Model or by category on the right/below. All of the products and prices are full package deals. They include the part, cutting and programming to your vehicle. 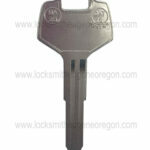 We will meet or beat any full package offer from any locksmith or dealer. In order to qualify, the same company must provide the product, cut it and program it. Please note our online shop is new and still being built. More pictures are coming and some of the products will need to be ordered to get in stock. Orders come in twice a week, so they are only a few days out if we do not have them in stock. Overnight is also available. If you have any issues, questions or your specific product is not here give us a call at 541-632-3968. We most likely have it or can get it.